The first of it’s kind. Being celebrated this year. Happy The Royal Queen’s Day. -June 5th. If it’s you and yours. A spiritual queen, who’s spiritual situation, is now being felt on the face of the planet. A gift is sent in advance of the situation, in advance of the outcomes, on The Royal Queen Authority Financial System. outcomes. Two additional Gemini’s worth noting, born on slightly different days. Victoria and her Granddaughter Alexandra are the other two I will be mentioning and noting, cause there stories are also interesting. The Royal Queen’s spiritual adventures are ongoing as we speak. A completely new situation that has never been seen before, that has spiritually just emerged, and who’s gemini’s presence is being felt. 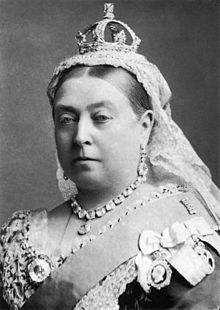 Victoria, was born at 4.15 a.m. on 24 May 1819 at Kensington Palace in London. Victoria was christened privately by the Archbishop of Canterbury, Charles Manners-Sutton, on 24 June 1819 in the Cupola Room at Kensington Palace. She was baptised Alexandrina, after one of her godparents, Emperor Alexander I of Russia, and Victoria after her mother. Additional names proposed by her parents—Georgina (or Georgiana), Charlotte and Augusta—were dropped on the instructions of the Duke’s elder brother, the Prince Regent (later George IV). Alix of Hesse and by Rhine, later Alexandra Feodorovna (Russian: Императрица Александра Фёдоровна Imperatritsa Aleksandra Fyodorovna) (6 June 1872 – 17 July 1918), was Empress consort of Russia as spouse of Nicholas II, the last Emperor of the Russian Empire. 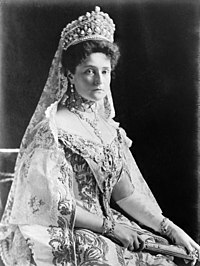 Born a granddaughter of Queen Victoria of the United Kingdom, she was given the name Alexandra Feodorovna upon being received into the Russian Orthodox Church, which canonized her as Saint Alexandra the Passion Bearer in 2000. The first two situations you are likely a little bit more co cognizant of, but in time, maybe all three will make sense. Happy The Royal Queen’s Day, which is June 5th, and maybe in time, all three Gemini’s will make sense.